NEST Taekwon-do is the North East’s leading school teaching traditional ITF Taekwon-do. Providing family-friendly and fun Taekwon-do classes, ideal for children and adults from ages 7+. Established in 2012 by Chief Instructor Mr Christopher Black V, with over 30 years teaching experience. NEST has quickly grown and are proud to support a multitude of students, including British champions and European competitors/medallists. Learn how to protect yourself through regular training, improve your reflexes and learn to walk with confidence. Want to try a different way to get fit, or a new stress relief, or just try something different? Taekwon-do principles are practical in use, our dynamic training sessions will help you towards your fitness goals, while building your core and conditioning your body. Enjoy training in a fun environment, meeting new people and making lasting friendships. Build your confidence, life skills, character, and team building, in a Taekwon-do family. Taekwon-do will improve your confidence level and instil a sense of discipline and self-confidence, that can be used throughout all aspects of life. For more information check out our Available Classes, or Contact Us for more information. All our instructors are fully qualified, with full DBS certification, and are registered with the UKTA and BTC organisations. We are affiliated to the United Kingdom Taekwon-Do Association (UKTA) and the International Taekwon-Do Federation (ITF). 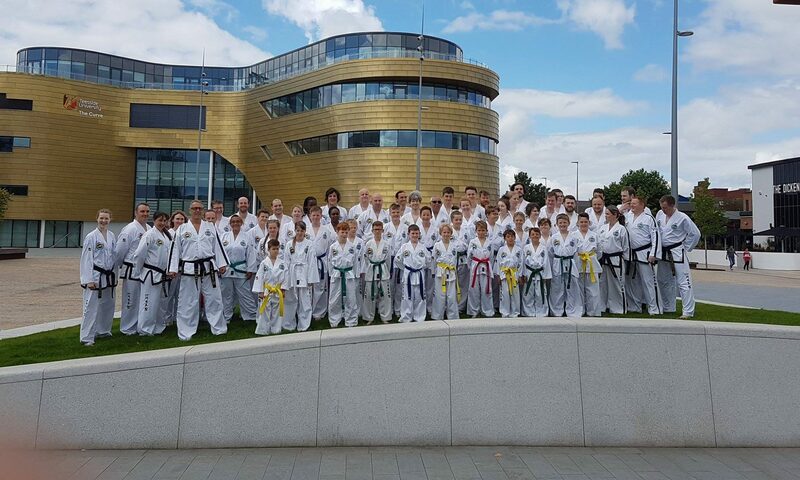 We are monitored by the British Taekwon-Do Council (BTC), which is recognised by UK Sports Council as the only governing body for Taekwon-Do in the UK.